St. Paul's Evangelical Lutheran Church is a member of Lutheran Church - Canada and affiliated with the Lutheran Church - Missouri Synod. We offer a variety of worship styles, programs and mission opportunities for all ages. It is our desire to reach out to the communities of the upper Fraser Valley with the good news of the Gospel of Jesus Christ. 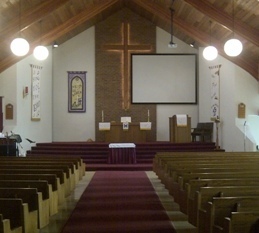 We also serve the congregation of Holy Cross Lutheran Preaching Station in Hope. Services in Hope are held on the 2nd and last Sunday of each month in the board room of Fraser Canyon Hospital. Core Values are how we prioritize our ministry as St. Paul's. In all our activities we seek ways to be a blessing to others because God has blessed us first through Jesus Christ.